MEXICALI, MEXICO -- In 1937, Miguel Hernández Rentería left his hometown in the central Mexican state of Sinaloa and came to the Mexicali Valley, on the U.S. border, to grow cotton. The desert here receives less rain than the Sahara, and carving out a living with a horse-drawn plow was an act of faith as much as pluck. But Hernández proved tough enough to ultimately support 13 children. Then, in 1946, he was confronted with a preposterous problem. 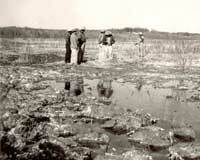 Water began rising out of the ground and inundating his fields. By 1952, it was as high as his 7-year-old son Gerónimo’s neck. The water was leaking out of the All-American Canal, just over the border. 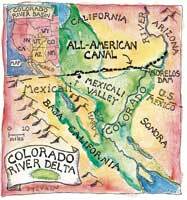 The canal carries nearly one-fifth of the water in the Colorado River to farms in California’s Imperial Valley. Because it was simply dug out of the earth and never lined with concrete, it leaks 22 billion gallons of water a year. That water percolates underground, migrates south across the border, and re-emerges in the Mexicali Valley. Farmers here quickly turned the improbable scourge into a windfall. With the aid of the Mexican government, they built their own canal to capture much of the leakage, which is now funneled to farms close by. Private and government pumps also send the leaked water to farms, such as the Hernándezes’. Today, Gerónimo Hernández, at 61, is a tornado of a man who seems to have inherited his father’s tenaciousness. He also has a wicked wit, introducing himself with a reference to his namesake — “el pistolero de Cochises” — and a motion for a visitor’s scalp. “My father and the first generation of farmers are dead now,” says Hernández. Horse-drawn plows have given way to mechanized cotton harvesters. But he and his brother still farm 400 acres along the border, rich fields punctuated by date palms that give the area a vaguely Mesopotamian feel. The Hernández brothers are just two of more than 14,000 farmers in the Mexicali Valley. Now, however, San Diego and the Imperial Irrigation District are about to begin a joint effort to remove the All-American Canal from service and replace it with a new one, excavated alongside the existing one and lined with concrete to make it impervious to seepage. Then the conserved water — the windfall that has sustained the farmers here for more than half a century — will be transferred to San Diego. The Hernándezes and other farmers here stand at the edge of an advancing campaign of water efficiency that reaches across the entire Colorado River Basin. Nearly a century ago, the wild and undammed Colorado was, in the eyes of American engineers, a poster child for inefficiency and waste. In the 1920s, they embarked on a campaign of maximum development and tamed the river with a phalanx of dams to keep its water from running wasted to the sea. Now, in a world shaped by ever-sharpening competition for water — and nearly eight years into a drought — the promise of efficiency has been resurrected. Water efficiency bears a patina of environmental respect-ability, and it is frequently seen as a way to conjure more water out of thin air. But a profound paradox stands at the heart of the logic of efficiency: Increased efficiency creates losers as well as winners, and the victims often inhabit places far beyond the public eye. Gerónimo Hernández and his Mexican compatriots will soon find themselves among the losers. But the biggest costs of the new obsession with efficiency could ultimately accrue to the very place that bore the brunt of the first round of development: the foundering ecosystem of the Colorado River Delta. Environmental groups have helped shape water politics to an extent that often goes unremarked. They have labored to convince the West’s traditional water power brokers to include the environment in their calculations. And it is largely due to the efforts of environmentalists that, in the last quarter century, efficiency has become a watchword on the Colorado. In the early 1980s, water agencies in California were using more Colorado River water than they were entitled to. With urban demand booming in Arizona and Nevada, which also rely on water from the river, the agencies knew that a water crunch was imminent. In 1982, in an effort to assure itself adequate water when it was ultimately forced to reduce its take of the Colorado, the Metropolitan Water District of Southern California set its sights on the Sacramento River in Northern California. The agency, which supplies 18 million people in Los Angeles and San Diego, proposed building the “Peripheral Canal” to tap the Sacramento before it reached the San Francisco Bay-Delta and to funnel the water south. The plan sent Northern Californians into a paroxysm of rage: Not only did it sound like an unvarnished water grab, it sounded like one that would strangle the aquatic ecosystems of the Bay-Delta. In a statewide referendum that summer, voters resoundingly defeated the idea. But Southern California’s water crunch still loomed. So, in 1983, Robert Stavins, a Berkeley-based economist with the Environmental Defense Fund (who would go on to become an architect of greenhouse gas emissions-trading programs) wrote a visionary proposal called Trading Conservation Investments for Water. Why not, Stavins argued, “salvage” water that had already been diverted into California’s hydraulic maw, but then had been lost to leakage? The Metropolitan Water District could fund water-efficiency improvements in the Imperial Valley, in exchange for the water saved by those improvements. Stavins’ report was written in the language that water managers speak, and it was politically palatable: Rather than suggesting a full-blown transfer of farmers’ water, it simply proposed helping them tighten up their water-supply system and resurrect water that seemingly had vanished into the ether. 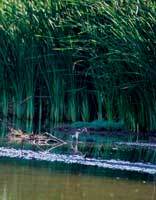 The proposal set off a revolution in California’s water affairs. In 1988, Met agreed to spend more than $200 million lining and automating the Imperial Irrigation District’s canal system, freeing up enough “new” water to serve more than 200,000 homes each year. In the years since, a raft of efficiency-funding programs has come to stand at the center of California’s plan to pare back its Colorado River water use; the Imperial Valley is now a proving ground for the idea of water efficiency. All told, the Imperial Irrigation District will squeeze out 15 percent of its water for transfer to residents of Southern California’s cities, without reducing agricultural productivity. Much of that water, including that saved by lining the All-American Canal, will go to the 3 million people supplied by the San Diego County Water Authority.